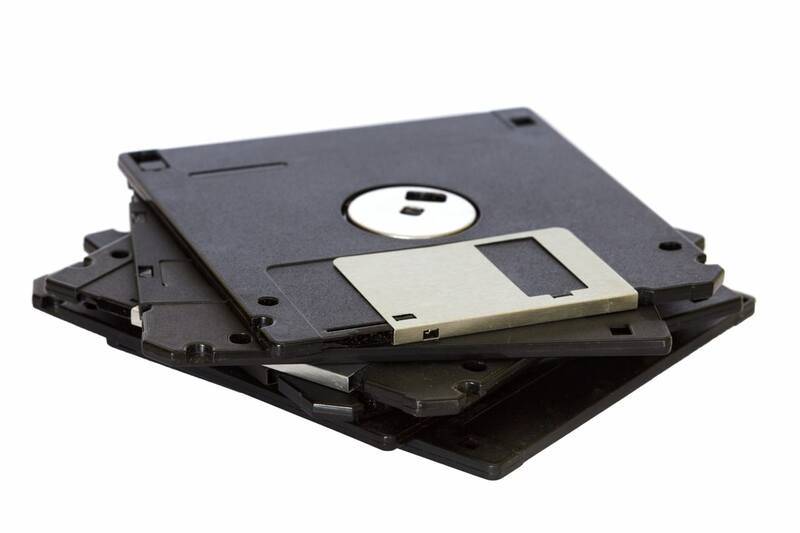 Dial-up internet, dot matrix printers, saving files on floppy disks– there are many things that are just outdated. While outmoded devices and systems may have their nostalgic qualities, compared to using current technologies, they’re generally much more cumbersome and limiting. Yet, despite the benefits of embracing modern innovations, some industries have been slow to adopt them– academic publishing being a prime example. Springer Nature product manager Stephen Cornelius reproaches the outdated publishing practices many academic journals are using to produce online content. He notes that, despite decades of technological advancement, “research publishing seems stuck with those that were employed when it first went online.” Cornelius points to many areas of digital journal publishing that have been designed to mirror print publishing despite there being better ways to produce and present content online, such as journals formatting online articles as print-based PDFs instead of HTML webpages. In the post below, we break out 3 vestiges of print publishing that journals are holding onto online and why it’s holding them back. As noted by Cornelius, among dated methods that journals are using to publish online is formatting articles as PDFs. The PDF was designed to be the standard format for delivering final page layouts for print, yet somehow it’s become the canonical publishing format for online journal articles. Most journals continue to publish articles in PDF only, despite the fact that the majority of online articles produced by other types of content providers are published in HTML. Simply put, the PDF was not designed to be an online publishing medium and, as such, is not evolving to support the modern online searching and reading experiences that readers are increasingly coming to expect. A recent article in The Atlantic titled “The Scientific Paper Is Obsolete“ explores the limitations of PDFs and the need for journals, particularly in STEM fields, to adopt internet-based publishing formats in order to support more dynamic presentations of research as well as to make it easier for readers to find articles online. While journals don’t have to stop producing PDFs just yet, given how ingrained PDFs have become in research publishing, moving to also publishing articles in HTML is a way that journals can begin to foster a more modern reading experience in line with what scholars and the general public are used to seeing on mainstream content websites. As journals dip their toes into more digitally-driven publishing practices, the academic community can begin to catch up, creating opportunities for scholars to embrace new means of presenting research online such as research videos. One example of a journal that is publishing HTML articles in order to give readers a better online reading experience is Survey Practice, the American Association for Public Opinion Research’s e-journal. You can read more about how they’re working with Scholastica to produce HTML articles here. Another print practice that many journals are still following online is issue-based publishing. In this model accepted articles can take weeks, sometimes months, or even years (yikes!) before being published, depending on the time it takes the journal to prepare enough articles to compile a complete issue. In our digitally saturated world where information is available almost instantaneously, it’s not difficult to see the problem here. For researchers publishing articles with timely applications, waiting even a few weeks to have an article published can have big repercussions. Every day that goes by between their manuscript submission and final article publication can detract from the real-world value and applications of that research. Even for less time-sensitive articles, delays in publishing are problematic for researchers as they hold back finished articles from being able to accrue citation and altmetric impacts that researchers rely on to show the reach of their scholarly contributions. While compiling articles into issues was necessary for print publishing, as it wouldn’t be practical to print and distribute articles individually, in online publishing the wait time journals have between accepting articles and publishing them in issues is generally self-imposed. In most cases, a journal could just as easily publish individual articles on a rolling basis and then retroactively compile them into issues if they choose. This is something that Ashley Amaya opted to do when she took the helm of Survey Practice as editor-in-chief. Amaya said publishing articles on a rolling basis has helped Survey Practice release timely content faster, avoid backlogs in production and publishing, and provide a better experience for authors and readers. Cornelius makes a valid point. In some instances journals are accepting submissions in one place, managing peer review either in their submission system or between it and different online platforms, formatting articles in a separate word processing system, then having to convert those files into internet languages such as HTML and XML and then upload them to a new publishing platform. That is a pretty long trip for an article to take! Technology has made it possible to centralize the peer review and publishing process, yet many journals are yet to take advantage of the opportunities available to them. Corporate-run journals in particular have been slow to adopt new publishing models, instead keeping with print-centric practices where DOCX manuscripts have to be manually typeset in desktop publishing software such as InDesign in order to be made into print-ready PDFs, and then separately formatted into XML so that they can be submitted to online indexes and rendered in other file types such as ePub. By using modern technology to follow digitally-based rather than print-based publishing schemes, most all of the manual work involved in this type of process can be cut. As Cornelius points out, rather than manually typesetting Word files into finished manuscripts, journals can begin to automate the typesetting process by converting manuscripts into an online language. There’s no need for editors to learn complex code either. Markdown, an easy-to-learn text-based computer language, which Cornelius references, can be converted into different file types with little manual work involved using modern technology. At Scholastica, we’ve developed technology that can convert DOCX files into Markdown and various formats from there including HTML and XML. Using our typesetting service, journals need only provide DOCX manuscript files. Our technology takes care of the rest of the work, generating the file types that the journal needs, and thereby eliminating the need for so many content processing systems, formats, and manual typesetters. Using modern software like Scholastica for peer review, typesetting, and publishing, the entire journal management process can be centralized. All of the outmoded publishing practices that we’ve discussed in this post have one thing in common, they’re vestiges of the print publishing model from the days of old-school printing presses. The reality of today is, even traditional print publishing can be modernized with online tools. Journals can operate more efficiently by taking digital-first publishing approaches and using online systems and languages to prepare articles for online publication and print, if need be, - not the other way around. Perhaps the bigger question to ask now is - will the age of physically printing journals last much longer? Recent studies suggest that the answer is no. In March 2015, the STM Report (Ware and McCabe, 2015) noted that “print’s advantage over digital in terms of portability and readability seems likely to be eroded by the latest tablets, and these mobile formats also appear to be offering some compelling benefits to advertisers…print editions will, however, finally start to disappear from publisher’s lists in significant numbers over the next couple of years.” Those “couple of years” have since passed, and more and more journals are leaving print behind as they also move towards an increasingly open access publishing future. Today, rather than taking a print-based approach to publishing, journals would be better served to think digitally. Doing so will have broader impacts than simplifying their publishing processes alone. Using modern technologies academic organizations have the power to easily publish open access research on their own and thereby begin to break up the conglomerate of corporate publishers that control the majority of research papers and pricing. In such an academic-led journal publishing future, journal production costs and timelines could be dramatically reduced and made transparent to pave the way for more sustainable open access publishing models. Three ways that academic journals can better acknowledge and support the vast network of ESL authors to help them navigate manuscript preparation and to encourage more global research policy and dissemination.